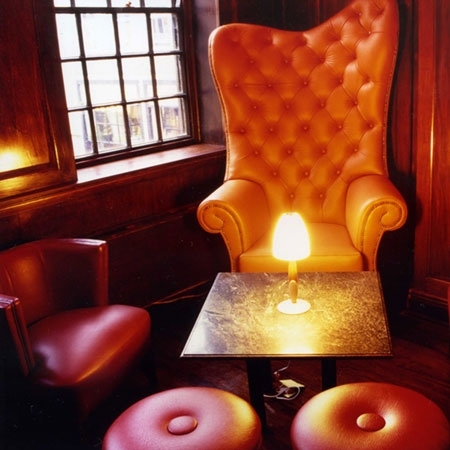 Bar, Restaurant and Private Members Club in Soho, London. 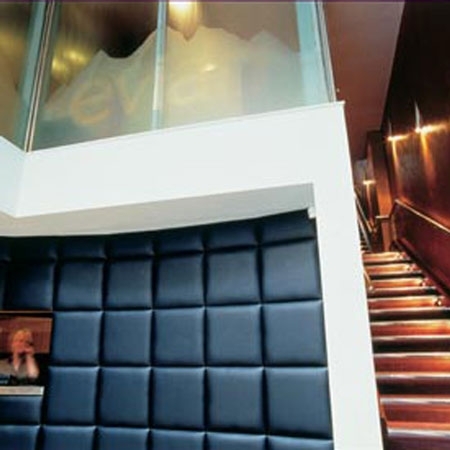 The leather padded entrance, with window revealing the DJ, leads to the downstairs bar, with low tables lit from inside and short mushroom stools and sofas. 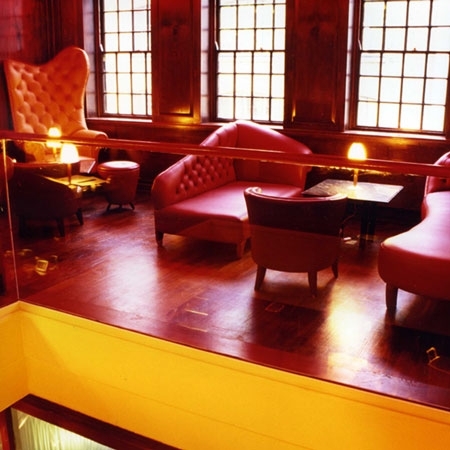 Upstairs is the restaurant, more light and spacious with large windows overlooking Soho life and a glass waterfall descending to the ground floor. The top floor is the members bar and is, again, a very different feel from the floor below. Large leather chairs and chesterfield style sofas with a contemporary lean in sumptuous reds and oranges. The venues interior can be seen in Sony Playstations “The Getaway”.